Greetings collectors, and welcome to yet another light week for genre releases! Aside from Scream Factory's SONNY BOY and JACK'S BACK Blu-rays, there's not too much else worth mentioning. GOOSEBUMPS makes its Blu-ray debut, as does Arrow Video's NIKKATSU DIAMOND GUYS: VOLUME 1. There's also a smattering of low-budget indie Horror titles (SERIAL KALLER, SURVIVAL KNIFE, et al.) and the "lost" TRANCERS sequel to look out for on DVD. For the full list of this week's releases, scroll down a tad. On Saturday, April 16th, 2016, at 11:00 AM, THE SALT CITY HORROR FEST returns to The Palace Theater in Syracuse, NY! Tickets are now available for pre-order HERE for $21.50 each ($3.50 less than what you'd pay at the door!) which guarantees you entry into this awesome show, AND enters you into a raffle for movie posters and other cool prizes! MIDNIGHT - Followed by a Q&A with John Russo & John Amplas. MARTIN - With introduction by actor John Amplas and Dir. of Photography Michael Gornik. THE SHINING with intro by local comedian Alex Bidwell. ROSEMARY'S BABY with intro by Jed Levin and Horror Happens Radio. NIGHTBREED with introduction by Cinema Under the Influence. John Russo - NOTLD, My Uncle John Is a Zombie, MIDNIGHT and more. John Amplas - George Romero's MARTIN, DAY OF THE DEAD, and John Russo's MIDNIGHT. David Harris - Played "Cochise" in THE WARRIORS. Solon Tsangaras - Actor "My Uncle John Is a Zombie." Gary Vincent - President of Burning Bulb Publishing and Producer / Actor of "My Uncle John Is a Zombie." 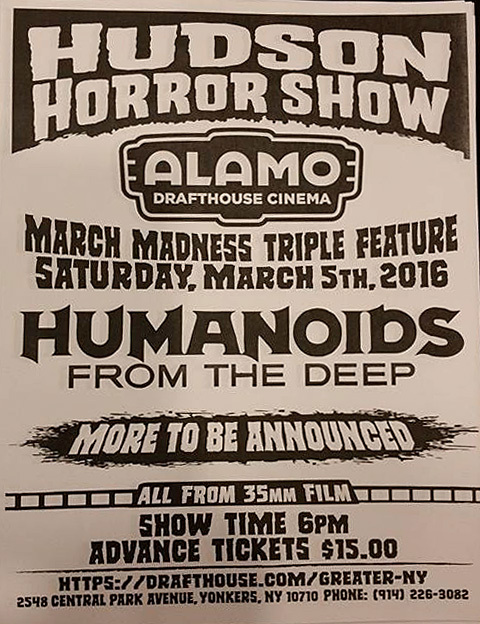 So save the date Horror fans, and buy your tickets! Then prepare for a crazy day of gang violence, Satanic cults, demons, killers, vampires, and monsters! And hopefully I'll see ya there! Join the Vault-Cast on the SOL for our MST3K episode! The first new Vault-Cast of 2016 (that was intended to be released back in early November 2015) is now online for your listening pleasure! Your hosts Jordan the Vault Master and "Silent" Steve, focus entirely on Mystery Science Theater 3000 in this episode. We share our tales of how we discovered the show, what our favorite episodes are, and ultimately geek-out about what we consider to be one of the greatest (and most important) TV programs of all time! So take the afternoon off from your temp job, pop some popcorn, and "watch out for snakes" when you listen to our latest Vault-Cast! You can listen by clicking on the YouTube link below, OR you can download this episode from LibSyn or iTunes for absolutely free and take it with you everywhere you go! Thanks for listening - we hope you enjoy! Shout! Factory to enchant U.S. audiences with Christoph Gans' BEAUTY AND THE BEAST! SHOUT! FACTORY SECURES U.S. DISTRIBUTION RIGHTS TO CHRISTOPH GANS' HIGHLY ANTICIPATED FANTASY EPIC! Honestly this isn't really my cup of tea, but news is news right? Plus I really dug Gans' BROTHERHOOD OF THE WOLF, so I'm willing to give this a chance. Here's some info on 2014's BEAUTY AND THE BEAST, which was just acquired by Shout! Factory for North American distribution. Theatrical, VOD, DVD, & Blu-ray release dates have yet to be announced. Film Synopsis: The year is 1810. After the wreck of his ships, a financially-ruined merchant (André Dussollier) exiles himself in the countryside with his six children. Among them is Belle (Léa Seydoux), his youngest daughter, a joyful girl full of grace. One day, during an arduous journey, the merchant stumbles across the magical domain of the Beast (Vincent Cassel), who sentences him to death for stealing a rose. Feeling responsible for the terrible fate which has befallen her family, Belle decides to sacrifice herself and take her father’s place. At the Beast’s castle, it is not death that awaits Belle, but a strange life in which fantastical moments mingle with gaiety and melancholy. Every night, at dinner, Belle and the Beast sit down together. They learn about each other, taming one another like two strangers who are total opposites. When she has to repulse his amorous advances, Belle tries to pierce the mysteries of the Beast and his domain. And when night falls, the Beast’s past is revealed to her bit by bit in her dreams. It is a tragic story, which tells her that this solitary and fearsome being was once a majestic prince. Armed with her courage, ignoring every danger, and opening her heart, Belle manages to release the Beast from his curse. And in doing so, she discovers true love. Directed by Christophe Gans (SILENT HILL, BROTHERHOOD OF THE WOLF), this visually opulent major motion picture stars Vincent Cassel (BLACK SWAN, OCEAN'S 13) and Léa Seydoux (SPECTRE, GRAND BUDAPEST HOTEL) with André Dussollier (A VERY LONG ENGAGEMENT, AMELIE). Produced by Eskwad and Pathé, BEAUTY AND THE BEAST (LA BELLE ET LA BÊTE) premiered at Berlin International Film Festival to great audience enthusiasm and is already a box-office success in much of the world. The announcement was made today by Shout! Factory’s founders Richard Foos, Bob Emmer and Garson Foos; and Muriel Sauzay, EVP of Pathé International. Shout! 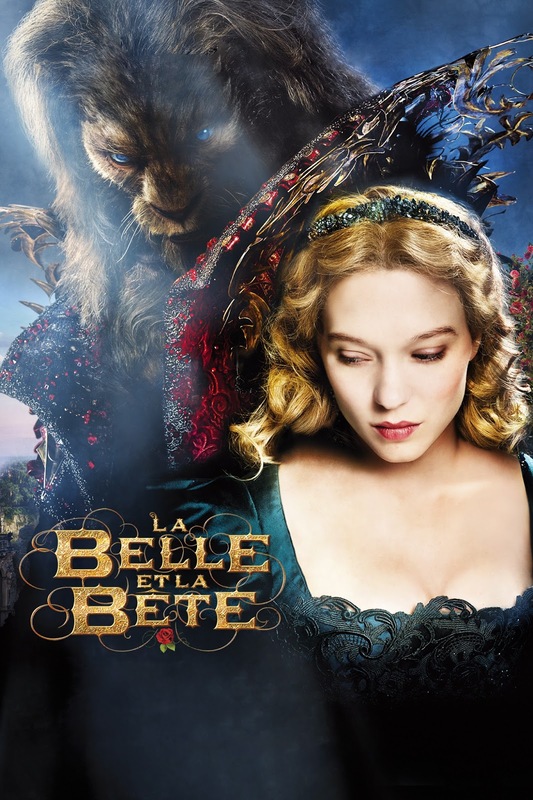 Factory has secured all U.S. distribution rights to BEAUTY AND THE BEAST (LA BELLE ET LA BÊTE), including theatrical, video on-demand, digital, broadcast and home entertainment for cross-platform releases. Shout! Factory plans a strategic rollout of this movie in theaters, across all major entertainment platforms and in all packaged media (Blu-ray/DVD). While I await further details on this film's U.S. release, give the trailer a watch to see what all the hooplah is about. Trailer Round-Up: 10 CLOVERFIELD LANE, BUBBA THE REDNECK WEREWOLF, BUNNI, SERIAL KALLER, and SURVIVAL KNIFE! While everyone's been watching the hell out of STAR WARS: THE FORCE AWAKENS (which is closing in on a whopping two billion dollars worldwide), director JJ Abrams was secretly creating a new film based in his CLOVERFIELD universe. Imagine the shock and awe caused by the teaser which just dropped onto the web yesterday! The film is a "blood relative" of CLOVERFIELD (whatever that means), and features John Goodman, Mary Elizabeth Winstead, and John Gallagher Jr. Apparently Winstead's character was rescued and brought into a fallout shelter by Goodman, and he won't let her out because of a "chemical attack" that rendered the surface world uninhabitable. Naturally it seems like she wants out, and struggles to escape, only to come to a shocking revelation. I liked the concept of Abrams' CLOVERFIELD, so I'm kind of stoked for this film, which hits theaters in less than two months on March 11th! That's it for now, but check back soon for more news, trailers, posters, and MORE, right here at The B-Movie News Vault! GREY MATTER ART SMASH! 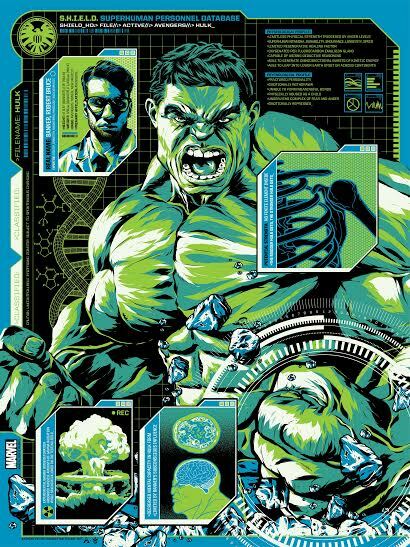 Check out this new awesome limited HULK print - On sale now! Grey Matter Art is starting off the new year on the right foot with an all new officially licensed print of Marvel's HULK! Created by artist Anthony Petrie, this limited edition print (only 125 in existence!) 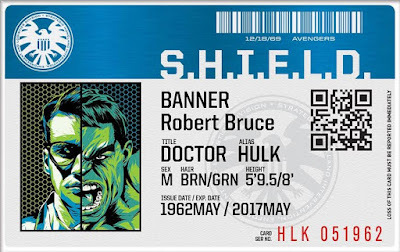 is printed on "Gamma" Green metallic paper, and comes with a very cool sticker that is made to look like Bruce Banner's S.H.I.E.L.D. ID card! The prints are $40 apiece and hand-numbered, and are only available through GREY MATTER ART'S ONLINE STORE! Scope it out below, then order yourself one before they are gone! Go ahead.... you work hard. Treat yourself. Sticker only available with purchase of bitching Hulk poster! Here's hoping that 2016 is a prosperous year for our pals at Grey Matter Art, and that they keep cranking out high quality prints like this! Keep up the great work guys! 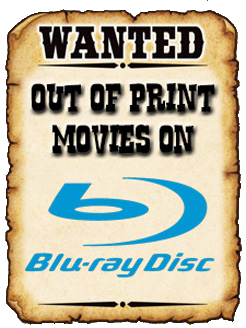 Welcome to another weekly report on what's new on DVD & Blu-ray! 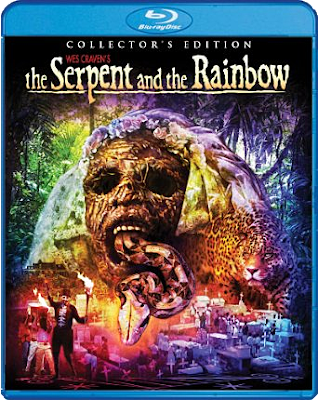 This week is a little light on genre fare (looks like Scream Factory took a week off), but there's a few diamonds in the rough. The above average werewolf flick HOWL is now out on Blu-ray, as is the highly anticipated sequel to SAMURAI COP, namely SAMURAI COP 2: DEADLY VENGEANCE! The bulk of this week's genre releases are mostly mainstream flicks, such as THE MARTIAN, HOTEL TRANSYLVANIA 2, SINISTER 2, and PARANORMAL ACTIVITY: THE GHOST DIMENSION. As you can see, there's really not too much to excited for, but hang in there because February and March are chock full of the stuff we all love and want to own! For the full list of this week's releases, scroll on down! Contains: Night Skies, Alien Hunter, John Carpenter's Ghosts of Mars, and The Day the World Ended. Contains: Your World As I See It and Ernest's Greatest Hits Volumes 1 & 2. Contains: I Know What You Did Last Summer, The Cave, Vacancy, and When a Stranger Calls. Contains: Ernest in the Army, Ernest Goes to Africa, Your World As I See It, Hey Vern - It's My Family Album, and Ernest's Greatest Hits Volumes 1 & 2. 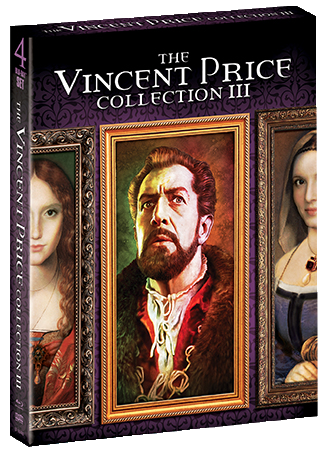 Scream Factory's VINCENT PRICE COLLECTION III is coming to Blu-ray on February 16th! SCREAM FACTORY GIVES US 5 MORE DOSES OF VINCENT PRICE GOODNESS ON FEBRUARY 16TH! I made damned sure to get my paws on Volumes I & II of Scream Factory's Vincent Price Collections, and there's no way I'm missing out on number three! And neither should YOU! Check out full details on this release below, then be sure to order it (as if you haven't already)! Description: This extraordinary collector’s set is an essential collection for every movie library and brings together FIVE Vincent Price masterpiece classics, featuring the first-ever Blu-ray movie presentation of MASTER OF THE WORLD (1961), TOWER OF LONDON (1962), DIARY OF A MADMAN (1963), AN EVENING OF EDGAR ALLAN POE (1970) and CRY OF THE BANSHEE (1970). Packed with a bevy of chilling bonus content including new interview with producer/director Roger Corman and writer/producer/director Kenneth Johnson, new audio commentary with actor David Frankham, film historians, original theatrical trailers, archival materials, this highly-anticipated Blu-ray collection also includes a 12-page collector’s book with rare photos. NEW High Definition Master from the inter-positive. NEW Stereo Soundtrack created from the original 4-track mag. NEW audio commentary with actor David Frankham. HOLY HELL! Look at all the love that was poured into this collection; thank you SO much Scream Factory! I've personally never seen any of these titles, so I'm really looking forward to this new set, and get wait to dig into the films and wealth of extras! 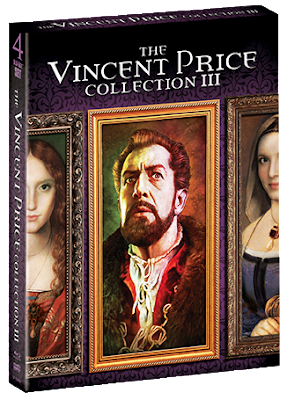 The Vincent Price Collection III debuts on February 16th (perfect gift for your Horror-loving valentine) and can be ordered at AMAZON.COM or directly from SHOUTFACTORY.COM. If you order through Scream/Shout! Factory, you'll get your set TWO WEEKS EARLY with a FREE 18 x 24 poster featuring this boxed set's commissioned cover art! Mark your calendars Price fans because you won't want to forget to pick up this set once it's out! Full Specs & Extras for Scream Factory's ZOMBIE FIGHT CLUB Blu-ray! ON FEBRUARY 2ND, SCREAM FACTORY INVITES YOU TO JOIN "ZOMBIE FIGHT CLUB!" I haven't heard of this Taiwanese zombie flick until now, but it sounds like it could be a good time. Lord knows the genre is pretty worn out at this point, so hopefully this movie will bring something new to the table. Guess we'll find out next month! Film Synopsis: In a corner of the city, in a building riddled with crime... there is an outbreak of zombies. When one young woman (Jessica C - DOUBLE TROUBLE) witnesses her boyfriend falling victim to the zombie horde, she must team up with a police officer (Andy On - THE VIRAL FACTOR, SPECIAL ID, COLD WAR) in order to stay alive and escape the building. But the once warm-hearted chemistry teacher, Wu Ming, is now the zombie leader following the chaos, which has transformed him into a cruel, vicious, and formidable opponent. Terence Yin (LARA CROFT, TOMB RAIDER: THE CRADLE OF LIFE, SPECIAL ID), Michael Wong (TRANSFORMERS: AGE OF EXTINCTION, FIRESTORM, SEVEN SWORDS), Jack Kao (SHINJUKU INCIDENT, FLYING SWORDS OF DRAGON GATE) and recording artist MC HotDog also star in this no-holds-barred, martial-arts-meets-walking-dead masterpiece! ZOMBIE FIGHT CLUB will be available wherever discs are sold on February 2, 2016! You can order yourself a copy now from AMAZON.COM or directly from SHOUTFACTORY.COM! Not sure if this is worth adding to your personal collection? Then scope out the trailer below!